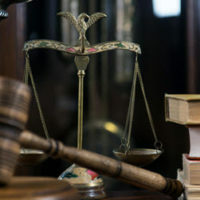 Many plaintiff’s lawyers attempt to use the negligence per se doctrine to try to hold companies liable under provisions of the Federal Food, Drug, and Cosmetic Act (FDCA). They claim an alleged violation of a safety-related provision of the FDCA to create a state law civil claim. This tactic runs counter to established state and federal precedent concerning preemption and the doctrine of implied preemption under the seminal U.S. Supreme Court case, Buckman Co. v. Plaintiffs’ Legal Comm., 531 U.S. 341 (2001). Buckman addressed the issue of whether a claim made under the FDCA preempted a state-law fraud-on-the-FDA claim. Plaintiffs claimed they sustained injuries from defective bone screws on their spines. The plaintiffs filed a lawsuit against Buckman Company alleging they made fraudulent representations to the FDA and that “but for” the false representations, the injuries would not have occurred. The claims were initially litigated in the District Court for the Eastern District of Pennsylvania. This court decided to dismiss the “fraud-on-the-FDA” claims on the ground that it was preempted by federal law. The Third Circuit Court of Appeals disagreed and ruled in favor of the plaintiffs. This prompted Buckman Company to file an appeal to the U.S. Supreme Court. Justice Rehnquist determined that there was express preemption because allowing the claims under state law to continue would ultimately clash with the FDA’s duty to police fraud. In Monk v. Wyeth Pharmaceuticals, Inc., 2017 U.S. Dist. LEXIS 72477, *21-23 (W.D. Tex May 11, 2017), the plaintiff raised a negligence per se claim on the defendants’ alleged failure to provide medication guides for distribution with specific prescription drugs. The basis for the negligence per se claim was a regulation, codified in federal law, that required manufacturers of specific prescription medications to produce guides and make those guides available either by sending copies to distributors or providing the means to produce guides “in sufficient numbers.” The court ruled that Texas law does not allow a claim for negligence per se based solely on alleged violations of the FDCA or FDA regulations. This portion of the opinion was quite encouraging. However, the court reached a contradictory conclusion on the plaintiff’s negligent failure to warn claim. The court determined that the plaintiff’s state law failure-to-warn claim based on a violation of the FDCA was actually a “parallel claim” to a failure to warn claim under Texas law. It appears as though the court rooted its reasoning in the holding of Eckhardt v. Qualitest Pharmaceuticals, Inc., 751 F.3d 674, 679 (5th Cir. 2014). In Eckhardt, failing to provide FDA-approved warnings was considered to be a violation under state and federal law making it a parallel claim. Regardless, the general rule that a claim for negligence per se based solely on alleged violations of the FDCA or FDA regulations is preempted remains strong in Texas. If you or your company is being sued by a myriad of plaintiff’s lawyers, you need strong, experienced, and aggressive representation. The Brownsville defective device claims lawyers at Colvin, Chaney, Saenz & Rodriguez, L.L.P. are here to help. Our team takes pride in applying our extensive trial skills and experience to the complex litigation of claims involving medical devices and other consumer products.